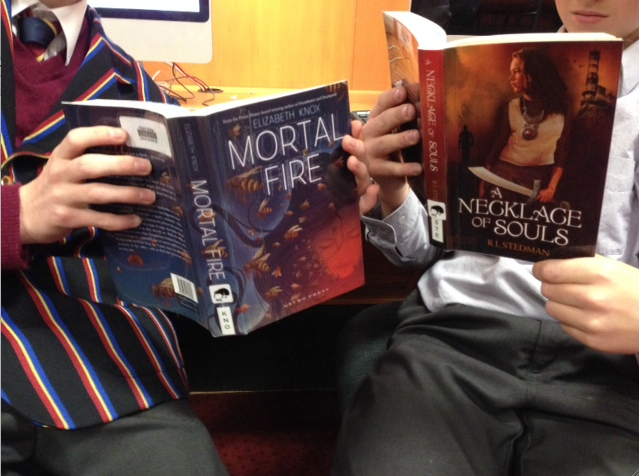 Love, fantasy and magic are the common themes between two of the winning categories of the New Zealand Post Book Awards for Children and Young Adults announced last night – Best Young Adult Fiction and Best First Book. For a full list of all the winners see here. The Best First Book award went to R.L. Stedman for A Necklace of Souls, a book that won the Storylines Tessa Duder Award for Young Adult Fiction in 2012, and already has an average rating of 3.83 stars (out of five) on Goodreads. 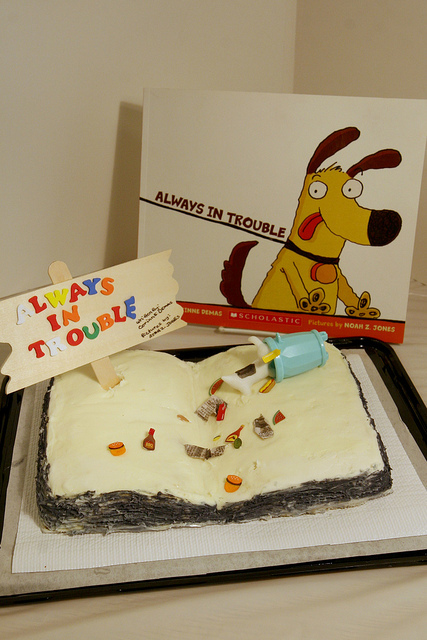 The cake above is an example of an edible book based on the story by Corinne Demas about Toby, who no matter what day of the week it is, is up to no good. The cake was created by Kendall & Kamryn Reid as an entry in a competition run by Topeka & Shawnee County Public Library, Kansas, USA. Step 3. Email them to zoe.toft@kuvik.net including the title/author/illustrator of the book, with a sentence about what in particular inspired your edible book. And if you are looking for further inspiration have a look at these fabulous cakes on the International Edible Book Festival Pinterest board created by Zoe Toft.